Harmless to bury solid objects such as utility lines, telecommunication cables, tree roots, hazardous waste containers, or military ordnance. 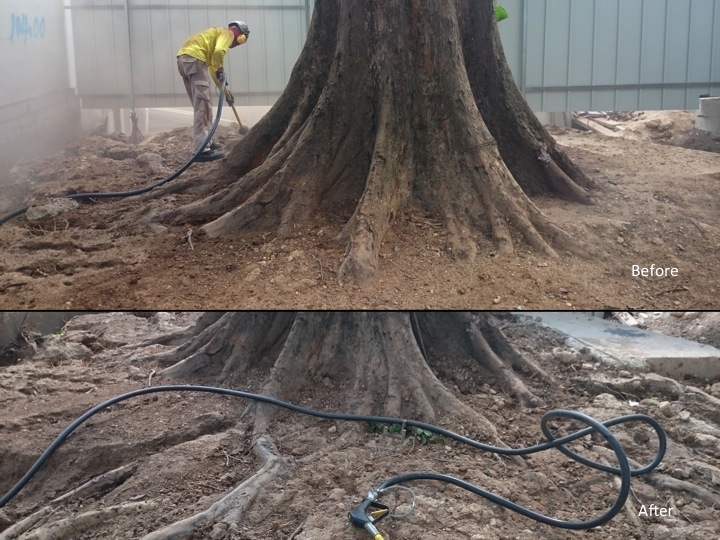 Utilizing the power of compressed air, the rugged and lightweight AirSpade uncovers underground objects, utility lines, or even sensitive tree roots without harm. 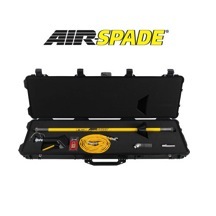 Featuring the high performance, patented supersonic nozzle, AirSpade digs faster and more efficiently than competitive tools. Dead-man trigger ensures safe operation. Non-conductive, fiberglass barrel provides degree of protection from buried electrical lines. Compressed air requirements: 25 – 225 cfm @ 90 psi.